PT-109 had John F. Kennedy’s WW2 exploits given the ‘Boys Life’ treatment in this handsome production, one that Jack L. Warner “personally supervised” to make sure that everything came out nice for Camelot. Two action-movie greats were up for the directing duties. First was Raoul Walsh, but the President had the ill-fortune to screen Walsh’s latest effort, the lousy Marines Lets Go, rather than his great sagas, like Objective Burma, so he was off the project. Next up was Lewis Milestone, who had guided film troops through WW1 (All Quiet On The Western Front), WW2 (Halls Of Montezuma) and Korea (Pork Chop Hill), but Warner’s were apprehensive because of Milestone’s budget woes on Mutiny On The Bounty (not his fault) and he was shown the door as well. The hard punching of Walsh & Milestone was replaced with the bland hand of Leslie H. Martinson, whose staging adds little vigah or urgency to a pretty gutsy story. Richard L. Breens’s script is a colorless adaptation of Robert J. Donovan’s book. Everyone comes out one-dimensional, particularly Kennedy. 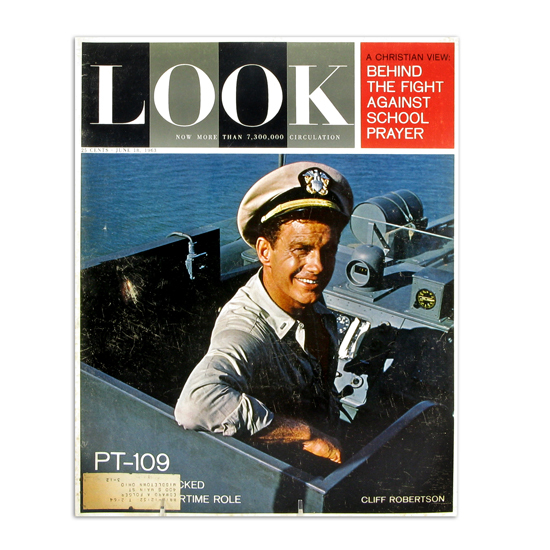 Cliff Robertson was personally picked by JFK (Jackie wanted Warren Beatty), but he doesn’t project much beyond a physical sketching of the character–no dynamism, inspiration or humor comes across. In the supporting cast, Ty Hardin and Robert Blake deliver best; James Gregory and Robert Culp get rather tiresome. The score, by William Lava and David Buttolph, is a pale imitation of the martial soundtracks that Max Steiner decorated many earlier WB war flix with: this time the themes are not rousing, just loud. 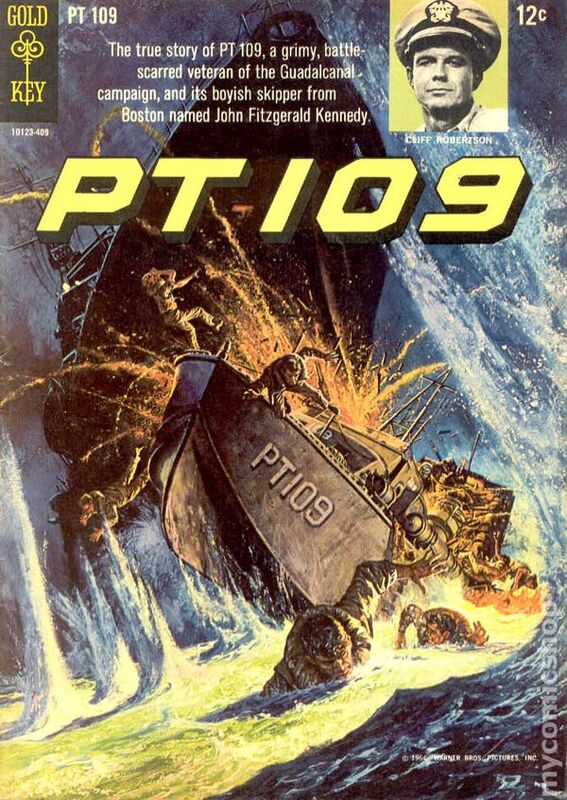 Speaking of noise, aside from the ramming of the 109 (look fast for George Takei as helmsman on the Japanese destroyer! ), there are a couple of other action sequences that showcase the hero, though they’ve been chronologically re-arranged and beefed up to look like the rowdiest battles in the Pacific. The crash, when the 109 gets diced by the Japanese destroyer, is excitingly done. The show looks good in color (Florida doubling for the Solomon Islands), so the lengthy (140 minutes) saga is easy on the eyes. Despite it’s shallow draft and routine form, the movie at least serves as a so-so history lesson for younger viewers who maybe ought to know there was one US President whose idea of fighting for democracy was somewhat more admirable than playing poker in drydock (Nixon), making training blurbs in Burbank (Reagan) or doing highballs with strippers while AWOL from the Texas Air National Guard (???). With Biff Elliott, Norman Fell, Grant Williams, Lew Gallo and Michael Pate. It earned $10,000,000, ranking #28 for the year.